Veneers are a cosmetic dentistry treatment that significantly improves the appearance of your teeth. Each veneer is applied to the surface of your tooth to cover chips, stains, or other flaws. Porcelain veneers are a permanent procedure that can replace teeth whitening. In some instances, porcelain veneers can be used instead of a crown. Veneers do not remove your tooth flaws or stains. A veneer provides a covering on the surface of your tooth and is effective for filling small gaps between your teeth. Your veneers are permanently bonded to the visible, front surfaces of your teeth. They’re a perfect cosmetic dentistry treatment for a creating your new smile. A porcelain veneer more closely matches your natural tooth color. Porcelain veneers are a thin wafer-like shell that mimics the natural surface of your teeth. Each porcelain veneer is custom-designed to fit your individual tooth. A dental examination, x-rays, and dental impressions are used to accurately design each veneer. The goal of veneer treatment is to closely match your tooth structure. This assures that your veneers are not noticeable but the transformation is. 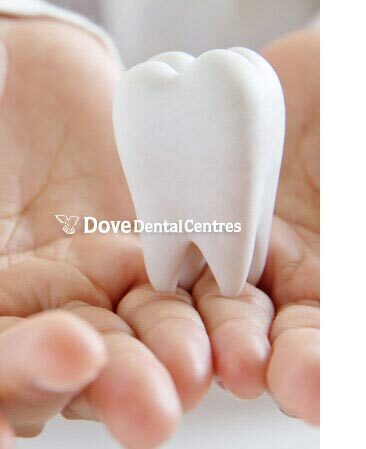 Your veneers are bonded permanently to the front surfaces of your teeth with a special cement. The application is "cured" by using a special light that creates the necessary bonding reaction between your veneer and your tooth. This detailed procedure helps assure that your veneers remain in place for years. It is rare for a veneer to detach from your tooth. The results following veneer treatment are immediately visible. Your veneers are designed to last. Porcelain veneers are also extremely durable and stain-resistant. It is vital that you maintain your veneer treated teeth with good oral hygiene habits including routine dental examinations and teeth cleanings.